I kind of stole this image somewhere and couldn't recall where I found it. Anyway, whoever that made this, well said! THANKS so much for making this!! So awesome! I've been pushing that concept too! I love this idea. 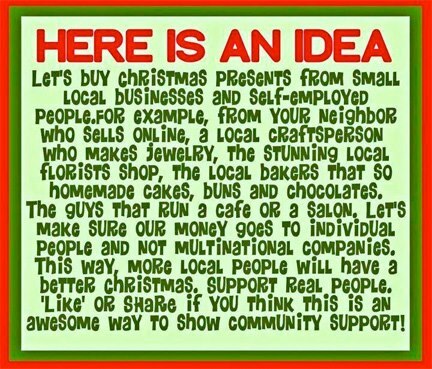 :) I think we should also be supporting the ETSY community as well. I've gotten over half of my Christmas shopping done on there, and the items are unique and beautiful!